10m above salmon n°50, on a boulder with a white and black arrow, to the left of white n°19 of the childrens' circuit, near the forbidden zone. Standing start with an evident flake and exit above. 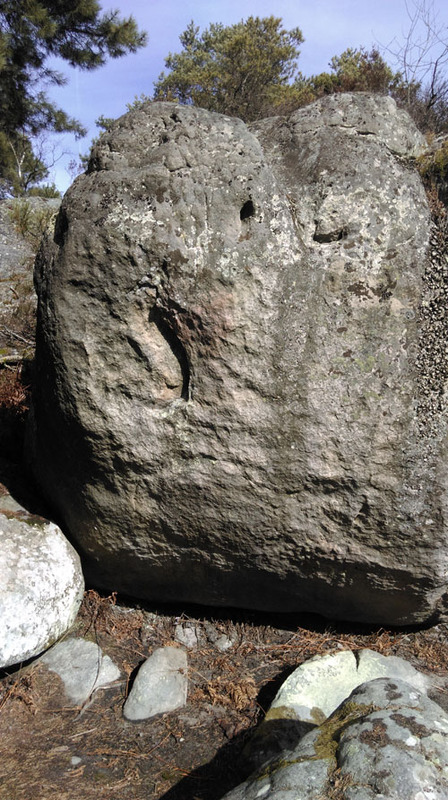 Accès : from salmon n°59, follow a small path for 60m around small boulders.